What adaptive challenge is your organization facing right now? The rise of a tough new competitor? The slow unraveling of a long-successful business model? The emergence of a disruptive new technology that presents both opportunities and threats? Surprising innovations coming from faraway markets? Superhero executives can’t solve adaptive challenges by themselves. Addressing them requires collaboration from people with different perspectives from across the organization — and often beyond. And it requires an approach that’s different from standard meetings and brainstorming sessions — our usual tools for collaboration. Moments of Impact argues that strategic conversations are the best way to tackle adaptive challenges. Strategic conversations are creative and collaborative problem-solving sessions designed to address an adaptive challenge. But it’s one thing to read about a process — and another to do it yourself. Moments of Impact provides the framework, tools and tips all leaders need to get started right away. 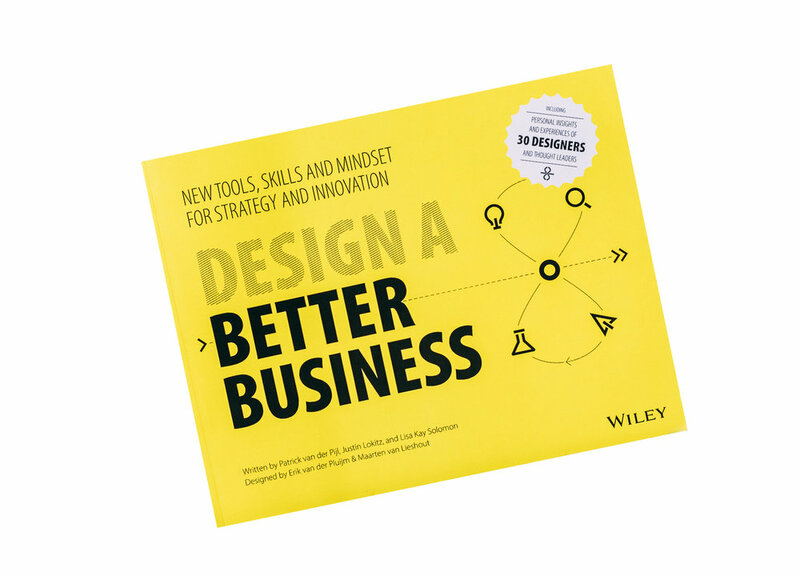 Whether you're a business leader, aspiring entrepreneur, corporate innovator, growth investor, social impact change agent or enterprising student, Design a Better Business is the comprehensive guide to the new tools, skills and mindsets required to master ambiguity and create value from uncertainty. Design a Better Business introduces readers to the double loop design process, a practical approach to creating and growing value using collaborative and generative practices that anyone can learn and immediately try with their organizations. With detailed visual guides to over 20 strategic tools and 48 case studies and real life examples from large corporations such as ING Bank, Audi, Autodesk, and Toyota Financial Services, to small startups, incubators, and social impact organizations, Design a Better Business is the most comprehensive and practical guide on how to launch and sustain innovation as a discipline in your organization.